This year’s workshop is extended to include 9 tutorials by internationally recognised researchers in cutting and packing. See the scientific programme for more details. The 16th ESICUP Meeting is the 2019 regular meeting of ESICUP and follows meetings in Wittenberg (Germany), Southampton (United Kingdom), Porto (Portugal), Tokyo (Japan), L’Aquila (Italy), Valencia (Spain), Buenos Aires (Argentina), Copenhagen (Denmark), La Laguna (Spain), Lille (France), Beijing (China), Portsmouth(UK), Ibiza (Spain), Liège (Belgium) and Zoetermeer (The Netherlands). February 1, 2019 – Extended Deadline for Abstract Submission. 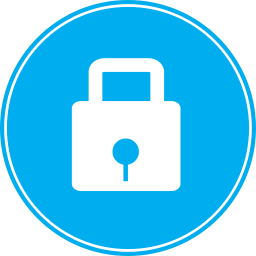 February 11, 2019 – Notification of acceptance. March 20, 2019 – Deadline for early registration and authors registration. April 8-12, 2019 – 16th ESICUP Meeting. We are pleased to announce we can fund up to five bursaries for Ph.D. students of 200 euros. To be awarded a bursary you must have submitted an abstract for presentation and that abstract be accepted. To apply simply add the sentence: “ I wish to apply for a Ph.D. bursary” along with your supervisors contact details to the bottom of your submitted abstract email – see abstract submission page. Payments from Mexico could proceed with the payment here. International payments should be done by bank transfer to the following bank account. The 16th ESICUP Meeting will be held at the ITAM, in Mexico City, Mexico. There are three hotels that are close to the conference venue, and offer special fares for participants. All special fares are subject to availability, and valid during the length of the conference (8-12 April 2019). Fees do not include 16% VAT and 3% ISH. Bathrobe, slippers, and 2 bottles of 450 ml water. 1hr courtesy drinks on arrival. 5-10 min walk from the Conference Venue. Double/Single Room $1332,00 MXN + 16%VAT and 3%ISH. Participants can benefit from this fare by sending an e-mail to: [email protected] or [email protected] or by calling +52 55 5449 4000 and using the reservation code: ESICUP. 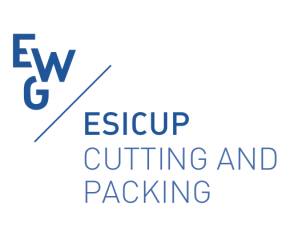 To submit a communication to the 16th ESICUP Meeting write an abstract (3000 characters maximum, approximately 1 page, and elucidative about the problem tackled, the methodology used and the main conclusions drawn) on a cutting and packing topic and submit it no later than 1st of February , 2019. The notification of acceptance of your communication will reach you until February 11, 2019. The abstracts of the accepted communications will be included into the 16th ESICUP Meeting proceedings book that will be available to download. The full programme and schedule are now available here. Abstract: In this talk, I will first review the work on Container Loading Problems with practical constraints developed in recent years, and then I will show how these constraints have been introduced when solving combined routing/packing problems. 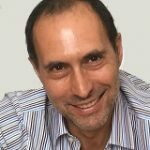 Ramon Alvarez-Valdes is a Professor at the Department of Statistics and Operations Research, University of Valencia, Spain. He is interested on Combinatorial Optimization problems, such as Project Scheduling, Machine Scheduling, Timetabling, Cutting and Packing, and Container Terminal Operations. He has developed theoretical and applied research in these fields, published papers and participated in research projects funded by companies and by public research institutions. Abstract: One of the defining features of cutting and packing problems is the geometric constraints where small items cannot overlap and must be contained within the large object. Handling these constraints effectively has a critical impact on the efficiency of an solution algorithm and can dictate the algorithm design. In this talk I will review the range of methodologies for handing geometry, provide some simple examples and discuss the strengths and limitations. Julia Bennell is Prof of Management Science at Leeds University Business School. She has been an active researcher in cutting and packing problems for over 20 years and published articles in two and three dimensional problems largely focusing on irregular shape packing. She has been a member of the ESICUP committee since 2004 and the co-ordinator of the group since 2017. Abstract: In this tutorial, we show how so-called “extended formulations” allow to solve efficiently several classes of cutting and packing problems. One one hand, these formulations have excellent theoretical properties. On the other hand, they typically have an exponential number of variables/constraints. Several advanced techniques are thus needed to solve them, including iterative column-and-row generation, and iterative aggregation methods. François Clautiaux is professor in the mathematics department of University of Bordeaux. His main focus is on integer programming methods for solving combinatorial optimization problems, including cutting and packing problems, from both theoretical and practical points of view. Title: A glance through the packing problem. Abstract: The goal of this tutorial is to give a general view of the packing problem. We are going to start with a introduction to the problem, followed by applications of the packing problem and, finally we will present of the different methods that have been used to find the best solution. 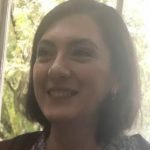 Claudia López obtained her bachelor degree in Actuarial Science at the Faculty of Science in 2016; UNAM, Mexico City. The degree was obtained with a written work, the subject of study was network flows problems using the painted network algorithm. In 2008 she obtained a Master degree in Operational Research at Graduate School of Engineering, UNAM, Mexico City. The drgree was obtained with a written work, the subject of study was an introduction to concave minimization. In 2013 Claudia obtained her PhD In Operational Research at Brunel University, London, UK. The thesis was about the 2-dimensional packing problem. Since May 2013 she is a full time associate professor at the Faculty of Science; UNAM, Mexico City. Abstract: The knapsack problem is one of the most famous problems in the Combinatorial Optimization area. Though the knapsack is NP-hard, it can be approximated and efficiently solved in practice. In this talk, we will review some variants of the knapsack problem that have received attention in the literature in the last years, and evaluate the state-of-the-art for these problems. Michele Monaci is a professor of operations research at the University of Bologna, where he got a PhD degree in system engineering in 2002. From 2005 to 2016 he was assistant professor at the University of Padova. His research activity concerns the design and analysis of models and algorithms for packing and loading problems, crew scheduling and railways applications. Abstract: Publishing research results is fundamental to the development of any scientific field. When publishing, researchers aim to validate their scientific finds, that should be checked for relevance, correctness, originality, etc., and strive to disseminate them, namely for future research purposes. However, very frequently, bright young researchers fail to have their papers published because they do not understand how the submission and review processes work. This lack of understanding undermines their efforts and may compromise their careers. In this talk, based on the personal experience of the presenter, some insights on what journals look for in what is published, on the review process and the roles of each actor, and on how to write effective papers are provided. José Fernando Oliveira is Full Professor and Vice-Head of the Department of Industrial Engineering and Management at the Faculty of Engineering of the University of Porto. He also teaches at Porto Business School. He is a senior researcher in the Industrial Engineering and Management Center of the research institute INESC TEC. His main area of scientific activity is Operations Research and Management Science. Within Operations Research the main research area is related to the efficient use of raw materials and other resources (cutting and packing problems), while from the techniques viewpoint his research is centered in the use and development of Metaheuristic approaches and their hybridization with Mathematical Programming based methods. He has also worked on Vehicle Routing, Lotsizing and Scheduling problems in industrial contexts. Support of decision making in Higher Education institutions management, which includes workload models, sustainability, institutional benchmarking and assessment and evaluation of institutions and teaching staff, is also one of his interests. From his many past academic and service positions, stand out the Vice-Presidency of the Pedagogical Council of FEUP and the Vice-Presidency of the European Association of Operational Research Societies. He is currently a member of the General Council of the University of Porto, President of the Portuguese Operational Research Society and co-editor-in-chief of the European Journal of Operational Research. Abstract: The irregular cutting problem consists of cutting a set of pieces in a board. A particular feature of the problem is related to piece shape, at least one has irregular shape. We have two main constraints associated with the problem: i) the pieces must be entirely inside the board, and ii) they do not overlap each other. The most frequently objective is to minimize the waste material. These problems are common in garment, glass, leather and furniture industries. In this tutorial, we discuss a discrete model for the nesting problem and some computational results presented in the literature. 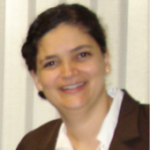 Franklina Toledo is an Associate Professor of the Department of Applied Mathematics and Statistics, University de São Paulo (USP), Brazil. Her focus is to study mathematical integer programming models and heuristic methods to deal with cutting and packing problems and cross-docking problems. I am the Editor-in-Chief of the Journal PODes – Pesquisa Operacional para o Desenvolvimento organized by Sociedade Brasileira de Pesquisa Operacional (SOBRAPO) and an Editor of the Journal Operations Research Perspectives. Abstract: This talk will first give a general introduction to heuristics and metaheuristics. It will be shown how to effectively design heuristic methods and some common pitfalls will be discussed. Afterwards, an overview of (meta)heuristics applied to cutting and packing will be provided, and some selected cases will be highlighted. Tony Wauters obtained his Master degree in Engineering (2008), option Information and Communication Technology at KaHo Sint-Lieven, Gent, Belgium. 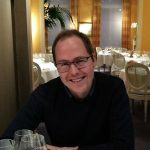 In 2012 Tony obtained a PhD in Engineering (Computer Science) at the KU Leuven, titled “Reinforcement learning enhanced heuristic search for combinatorial optimization”. 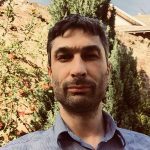 At this moment he is working as an assistant professor at the Combinatorial Optimisation and Decision Support (CODeS) Research Group, KU Leuven, Technology campus Gent, Belgium, where he is supervising several projects and PhD students. His research focuses on the development of novel search methods for several Operations Research problems such as cutting and packing problems and scheduling problems. As part of the Social Programme, the local committee has organized different get together for all the conference evenings. Transport will be provided from all the three conference hotels to the selected venues. Tuesday and Wednesday we offer you to meet for dinner on a pay-by-yourself basis. We have chosen two different places, that we hope all participants will enjoy. On Monday (8/4/2019), we will have a welcome reception at ITAM Campus Rio Hondo (Río Hondo #1, Col. Progreso Tizapán, CP. 01080. Álvaro Obregón, CDMX). Drinks and canapes will be served. Time to be confirmed. Tuesday (9/4/2019)… it’s Taco Tuesday! After the conference, we will get together to have some tacos for dinner at El Charco de las Ranas (Blvd. Adolfo López Mateos 2772, Jardines del Pedregal, 03900 Ciudad de México, CDMX). Tacos are one of the most traditional Mexican food, and even if you can find them in almost every corner, El Charco de las Ranas is a renowned restaurant where you can enjoy your tacos in a safe and clean environment. Wednesday (10/4/2019) evening, we will meet in one of the most iconic and lively districts of Mexico City, Coyoacán, where its main plaza is surrounded by numerous bars and restaurants. The Plaza de los Coyotes, (Coyotes Square) is always busy with young people and families. There are many options where we can meet there, and closer to the date, we will give you more information, about the selected location. Thursday (11/4/2019) evening, is the conference dinner. Venue still to be confirmed, this will be the perfect place to thank you all for coming to the 16th ESICUP Meeting. Closer to the date, we will give you more information about the exact location for the conference dinner, as well as the menu options. On Friday (12/4/2019), there will be an optional trip to Teotihuacan (price will be confirmed). Teotihuacan is an ancient Mesoamerican city located 40 Km away from Mexico City. The city’s broad central avenue is called “Avenue of the Dead” and is flanked by different pyramids, including the impressive Pyramid of the Sun (third largest pyramid in the world), Pyramid of the Moon and Ciudadela. It has 40 m wide and 4 Km long. Although these are the main attractions, there are other small pyramids and archaeological remains that will give you a good idea about how ancient aztecs lived, and their rituals. People interested in this trip will be picked at their hotels, and drove to the site. After the visit, we will have lunch in one of the many restaurants that are around the site, and return to the hotels. We advise people coming to this trip to take sun-tan lotion, bottle of water, and a cap, since there are no shades in the site. We do recommend you use apps like UBER, Cabify, YAXI or EASY TAXI to move around, as these apps charge you in advance to your credit card, and you can monitor the location of your driver at all times. They are very affordable services, and you will be picked up at any location. At the airport, there are several taxi companies that will take you to your hotel. These companies are inside the airport, and will charge you in advance, so you only need to tip the driver, if the service was satisfactory. You can also use any of the above apps, usually cheaper than the airport taxis, but you will have to wait for them outside the airport. Transport will be provideed from the hotels to all the evening activities, so there is no need to worry about moving around at night. However, if you want to explore de city on your own, we do recommend to use the transport apps mention above: UBER, Cabify… This transport is very affordable, and you can pay directly with your credit card through your phone. Public transport can get overcrowded and it is not straightforward to use, so we do not recommend it as an option. In Mexico City, credit cards are accepted in most places, so there is no need to carry big amounts of money. However, if you want to buy local crafts from artisans or at local markets, or leave tips to the hotel bell boy and cleaning services, it is good that you have some local currency. The best place to change currency is at the airport. There are many currency exchange sites at the airport, and they guarantee the best exchange rates in the city. When you are having a meal at a restaurant, and you are in a group, do not hesitate about paying separately by credit card. Waiters are used to split accounts and they can charge different quantities in different cards. If you let them know at the beginning of your meal that you are paying separately, they will bring different bills. In Mexico it is customary to leave tips for almost any service (not taxis). Hotels recommend a tip of $20 MXN to the bell boy on arrival. Restaurants expect between 10-15% tip. At restaurants, tips can be added directly into the credit card. Despite the news we get everyday about violence in Mexico, there is no need to worry if you follow some common sense advice. Do not wonder around at night on your own, and avoid lonely and dark streets.